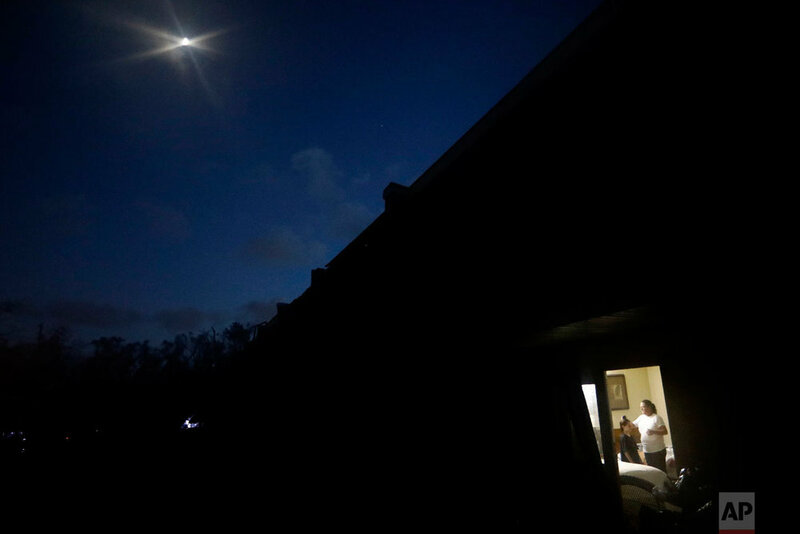 Simply getting through the day is a struggle at the American Quality Lodge, a low-rent motel where dozens of people are living in squalor amid destruction left by Hurricane Michael. 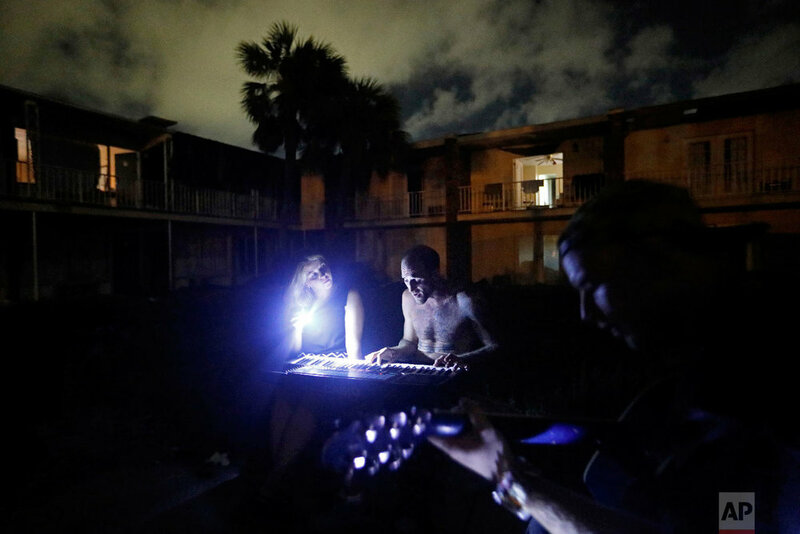 Families huddle under makeshift tents and in breezeways strewn with broken glass and roofing fragments, seeking escape from Florida's midday sun. They line up in a parking lot for food and water whenever volunteers and church groups stop by. There's been no power in a week, and the water has been out for days. "Basically, if you were living here before the storm you were homeless. This was our last resort," said Jeannie Holcombe, who has been at the motel a few months with her husband, Jason. "It's worse now." Michael's winds of as much as 155 mph (250 kph) ripped much of the roof off the two-story red-brick motel, which is just miles from the white sands of Panama City Beach. Rain flooded the upper level and dripped down to the first floor. The place looks absolutely shattered, with tarps strung from the second-floor balcony providing some shade. Long-term residents, who pay out about $180 a week per room, abandoned blown-out rooms for ones with fewer leaks or doors that will shut. Other people simply showed up from surrounding areas and settled in. Some asked permission, others didn't. Joe Donahue, who works for a company that was taking over management of the motel as Michael struck, has been driving store-to-store in search of supplies water, and feminine products for the women. He said he doesn't mind people staying there for now. "I have no place to send them because everything is booked," he said. "It's a nightmare." "It's not like it's a huge amount of money, but that would have been a couple outfits for her," said Allison, whose twin sister Kristin is also at the motel along with their older brother, Wes Allen Jr.
"Life's not great," he said after eating lunch: a can of tuna scooped with a borrowed spoon. The water came back on a couple of days ago, providing a morale boost, and utility crews are installing new power poles just across the street. But Donahue said the motel is so badly damaged, it wouldn't be safe to turn on the power even if electricity were available. Residents say police and firefighters have been by to make sure the people are safe, but these survivors say they didn't bother to report any of the looting at the motel, because the first-responders seem so busy. "Six days after Michael came through and tore up everything, we're still here," she said. "We can't stay here like this too much longer," said Wes Allen, 48. 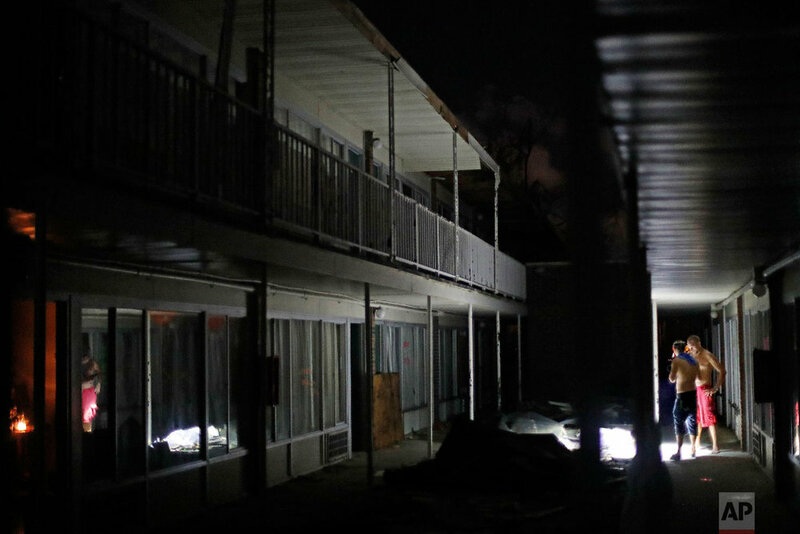 Text from the AP news story Amid squalor and debris, Michael's survivors cling to motel, Jay Reeves.